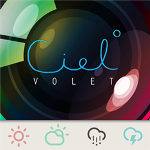 "Ciel" is an application for sharing your photo(s) with local weather & places. 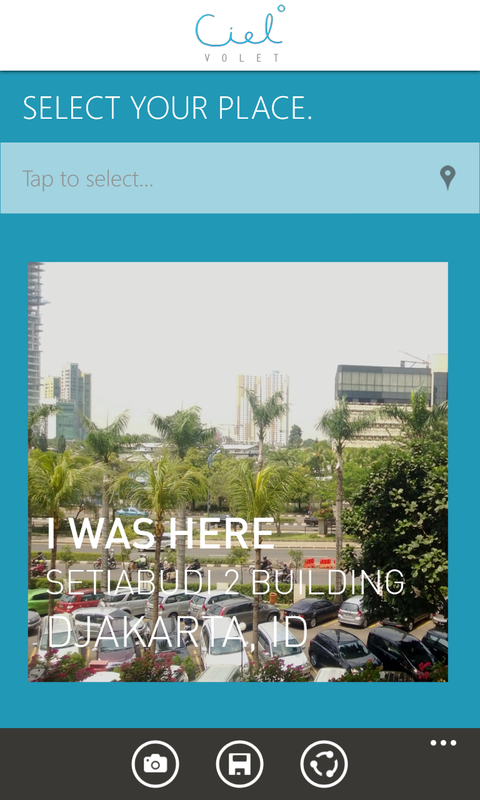 The application is similar to popular "InstaWeather" and "InstaPlace" app on iOS and Android. 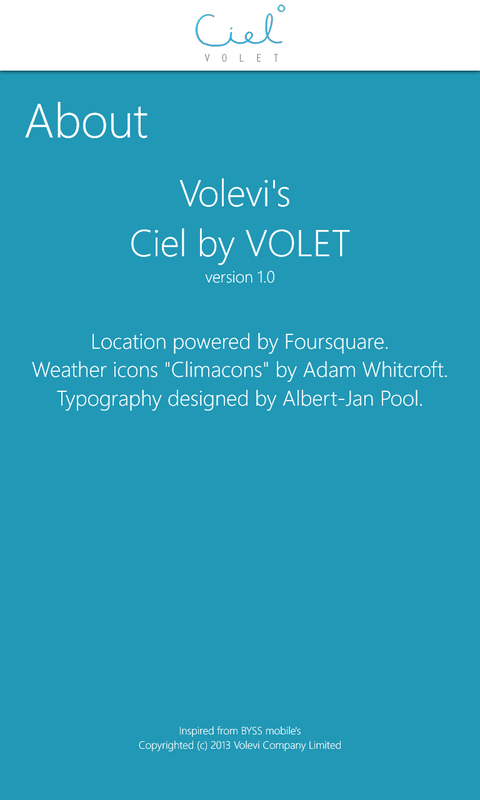 "Ciel" application is now available for free for Nokia Lumia with Windows Phone 8 on Windows Phone Store. Download it now and let's start to share your current weather condition and place.
" 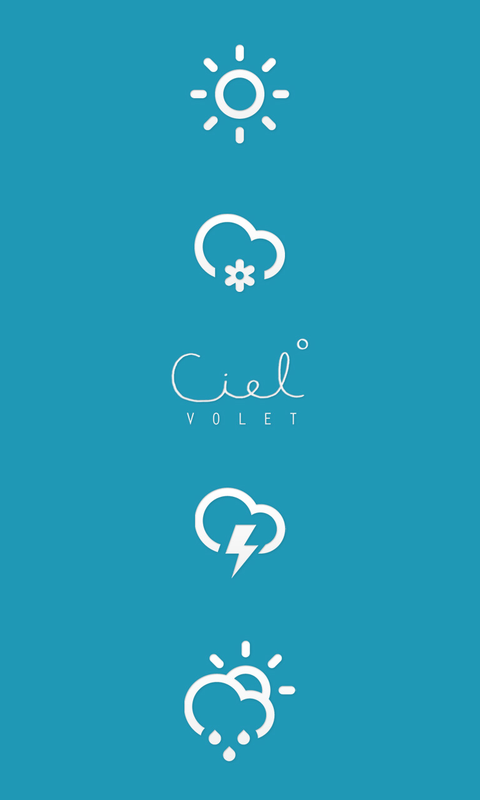 Share the sky with Ciel. 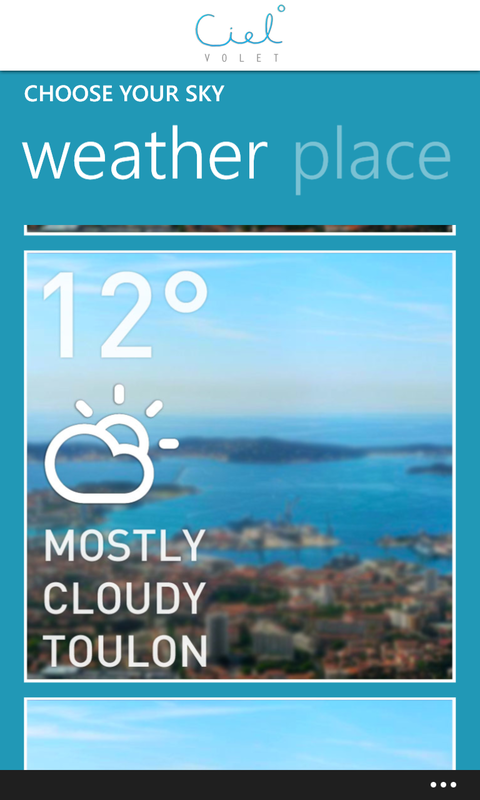 Add weather and places information to your photo, and share it to the world. 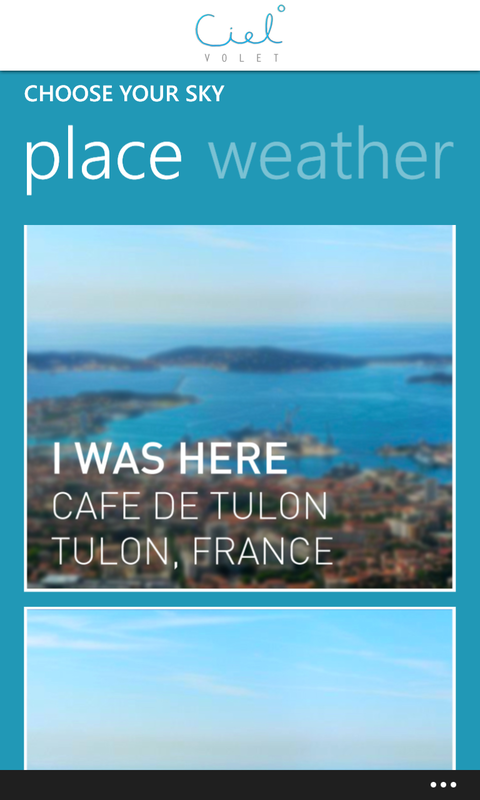 With more than 10 templates for weather and place overlay to add to your photo, you can also specify your Place template with location data from Foursquare. " Nokia Lumia 920, 820, 720, 620, etc.